But as I heard Whit Richards ask questions of keynote Mimi Chun, during the Fireside Chat, it became clear how misunderstood the idea of design thinking is. People still can’t jump the gap between thinking of design as an aesthetic and decorative add-on, to the idea of design as a high-level and strategic way of thinking. How did designers become good at this type of high-level thinking? Let me give a quick tour of what it’s like to go to one of the top design schools and then use that training in the real world. Imagine you are studying graphic design. Note: I’m using graphic design as an example for two reasons 1) I studied graphic design and 2) there seems to more confusion about the gap between graphic designers going to the boardroom than there is with industrial designers innovating new products. As a student, you are taught the basics of graphic design including: typography, color, scale, readability, contrast, and more. One of the keys to this is the idea of visual hierarchy. The idea and phrase visual hierarchy is one that designers use all the time, but lay people have rarely heard about. As designers, we learn to influence the behavior of people by making adjustments to visual hierarchy. Take a look at these three layouts below. In design school we learn about the way people read, and more importantly, the way people skim. As designers, we learn to manipulate typography, layout, color and more to allow people to quickly get the information they need. Look quickly at the three layouts below and see how size, color and placement affects what you look at first. Using typography, scale, positioning and color we can influence what people read first. Designers also learn how details affect the overall feeling behind something. Designers learn to effectively use details to influence an emotional response. There is a long history of designers coming in at the end—after the copy is written, an app’s functionality has been decided, or after an online product is mostly developed—to make the words more readable, the call-to-action buttons more enticing and the web site more visually appealing. In other words: to make it look good. After doing this type of end-of-project design over and over, we learn to ask questions. For example, imagine a client requests that we make something bigger. But, since we’re running out of space in the ad we ask, “Why do you want this bigger?” The reason is not that the client really wants the headline (or logo) bigger, they really just want that element to be more noticeable. Well, if you want it more noticeable we could keep it small, but change the color. We could also reduce the size or amount of other elements on the page. Or, we could put a lot of empty, white space surrounding it. As a designer, we start to realize that we need to ask questions about the intent of the design before we execute. For talented designers, as this process repeats itself over and over, we understand that we shouldn’t be asking these questions at the last stage in development. Rather, we should be giving input earlier and helping to form the overall functionality of what we’re designing. Our training at art school—far beyond the specifics of typography, scale and color—have trained us to problem solve using a wide variety of skills and tools. Far too many people in the business world rely only on words to communicate. They likely went to college where they mostly wrote papers to demonstrate their knowledge and earn their degree. So their tool set for solving problems can be limited. Once you start using sketching, visualizing, and prototyping, then adding motion and animation, you find solutions that are far beyond just words. You open yourself up to all sorts of opportunities for innovation. In my high school, it wasn’t the best students who went to art school. The top students were vying for Ivy League schools and other top private and public institutions. This bias against design school still permeates the business community. That is one of the reasons that design thinking seems so hard for some people to understand. If you aren’t familiar with design training, you may tend to look down at designers as not the top thinkers. But people who are able to dig, to question, and to challenge assumptions often make discoveries because of their curiosity. These are the people who make great designers and great innovation leaders in a business. During the interview with Mimi Chun, she said that design is a value, not a function. Your design team shouldn’t be thought of as the decorators who make things look nice. 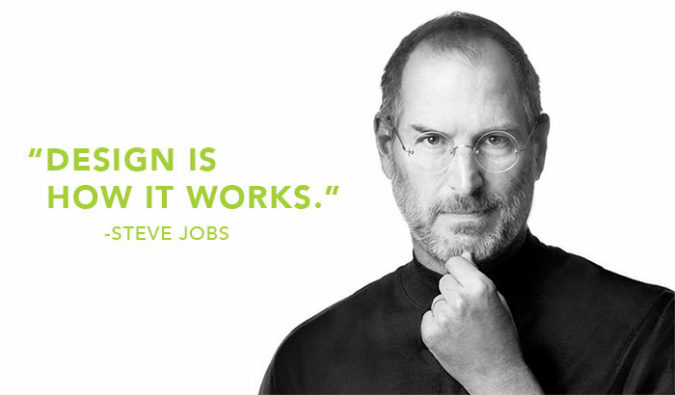 Design is a value. It’s the way of examining how things should work right from the start. To increase innovation at your company, encourage design thinking from all of your employees.